A system used to repair plaster lath ceilings. 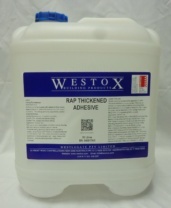 Refer to RAP Primer, RAP Adhesive and RAP Thickened Adhesive. Full cure takes 7 days.